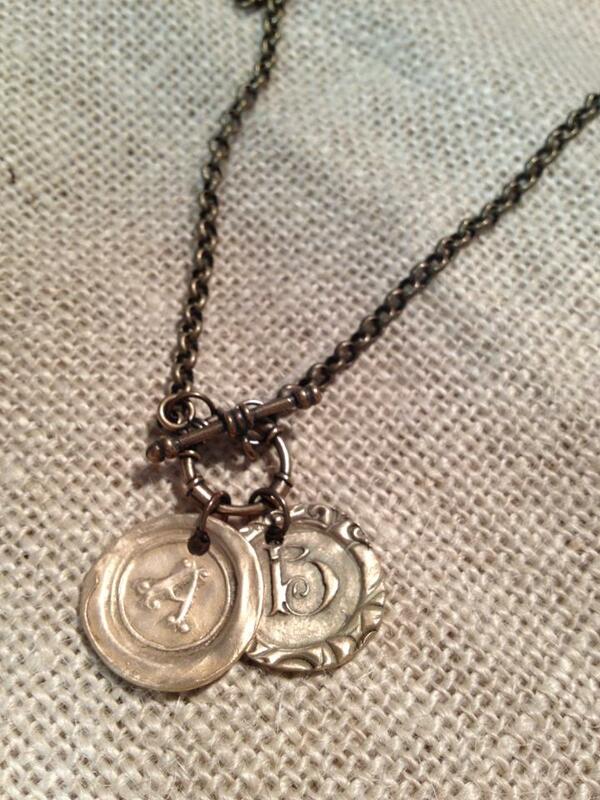 Description Bronze ornate monogram wax seal charm necklace on bronze rolo chain with toggle closure in the front. Charms are approximately 1". Price listed is for one initial, but can be made with multiple initials for additional fees.